Recently, I made note that there were clear signs of a trend that the YA adaptations were beginning to flounder. Though a few of them came out strong and left a major impression on the market, several failed to meet expectations and even the larger franchises are starting to “underperform”. There are a couple of ways this could turn out in the long run, depending on how the studios read the situation. They could seek out new ways to satisfy that old audience, creating properties of their own rather than adaptation. They could change their criteria for deciding which properties they should adapt. Or, more likely, they’re going to decide the audience was the problem and abandon them. But something that has to be asked is why these properties started to flounder in the first place. Was it simply a flash in the pan trend that these people would spend lots of money? Is it true that female protagonists don’t actually draw mainstream attention? Has the hype train run out of steam? One of the biggest problems with the publishing industry and film studios is that they tend to look only at the superficial factors in why something was successful. This generally results in a surprise success rapidly spawning duplicates pushed out as fast as possible and trying to capitalize in the wake of its release. Twilight succeeded, suddenly we had Vampire Diaries and True Blood (both properties predating Twilight) on TV when they couldn’t get the time of day before. Hunger Games succeeds and we have a Divergent film not long after. Harry Potter did fantastic and we suddenly had dozens of stories about kids joining secret magical worlds. It’s part of why people think the creative industries have no new ideas. But in the world of Young Adult fiction, this tendency towards capitalizing on things has started to put serious cracks in the genre’s foundation. Stories that get published tend to be stories that are too similar to others because, as far as the executives know, the superficial details were the reasons it worked. And worse, because these are the only stories that get published, a lot of independent writers tend to follow what they’re seeing in the professional market thinking that is exactly what the genre is. But the superficial details are not what makes a genre and aren’t what make Young Adult fiction work. Young Adult fiction, despite whatever pigeon-hole you may see it put in, is supposed to be an adaptation of established genres tailored to fit specific audiences. This doesn’t mean dumb it down, by the way, but rather make sure that you put it in a way they care about. If the characters feel like someone they would know, they may actually relate to them. If the situation mirrors issues important to them, they’ll naturally see that in the work. The specifics around that are not set in stone and they should never be treated as such. This is one of the most common criticisms leveled at YA Dystopias. Generally, through some form of cataclysmic event, society has been altered radically in a way that manages to make everything look like a school yard. The reason for this is easy to understand: you’re looking to make this something teenagers can relate to, so of course you make it resemble the culture they’re already in. But it has gone way too far. Generally this application of school yard culture to what is supposed to be the “real world” results in creating a situation where the world appears childish, sometimes even nonsensical. 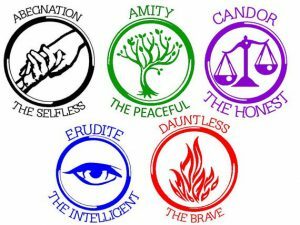 The Divergent series, in particular, takes it to one of the greatest extremes as it divides up their culture by personality traits you would normally identify in a cafeteria. The jocks go over here, the nerds go over there, the activists go in that corner – and this is supposed to have somehow worked for generations. But, as every teenager learns once they leave high school, the world doesn’t work for very long if you remain divided on such superficial lines – so how the hell has this civilization not collapsed already? But as for narrative, it also presents a huge problem for your protagonist. The way most protagonists are presented in this situation is that they are somehow just the person who is not easily pigeon-holed with the rest of society. No, they’re multi-faceted people (like real people, which we get to later) and that means they could really fit in everywhere. 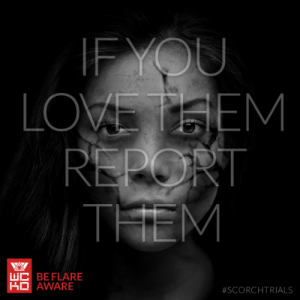 Hell, returning to Divergent, that’s the protagonist’s defining feature. So, follow for a moment that you have constructed a world where everyone has a very limited skill-set except for your protagonist who can somehow do it all. There’s a word for this, and it’s not a good one. And very few YA stories have achieved mainstream attention without presenting this sort of structure. 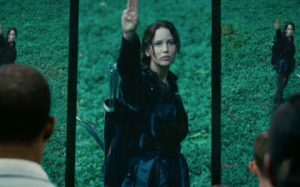 Even the Hunger Games, which tackles classes in a mostly mature fashion, reflects schoolyard divisions in the way each of the Districts reflect a specific personality or social status. There are the “professionals” who are essentially the jocks, the black kids from the urban environments, and the country bumpkins without a dime to their name. Sure, it’s much more sophisticated than the world expressed in Divergent, but it’s still a division that makes very little sense when you step back. Are you telling me there are no slightly better off people living in District 12 while Katniss is scrounging in the woods? Having lived in a poorer town most of my life, I know where the “good neighborhoods” are in my town and the fact they’re better off than most who live here. So how would you get away from that and still make it something teens can relate to? Respect that your audience does know more about the world than just what happens in their high school. Divisions, certainly, happen all the time and become a problem for the world at large – but rarely are those divisions as simple as “nerds go here, jocks go there”. A person strong of both body and mind can still be ostracized for believing in the wrong religions or having the wrong opinions. Entire classes of people can be divided based on things that extend beyond a single personality trait. Are these as fundamental and simple to identify as the ones common to the genre today? No. But a fear of complexity would really lead to the dumbing down that most YA authors fear they may do accidentally. There’s a prevailing plot point in these stories, stemming from the division, that the protagonist is one of the few (if not only) people who manage to think for themselves or see things differently. The system which has made this world different (or even genetics, in some cases) has caused the protagonist to not want to be part of this system that everyone else just blindly takes part in. They defy the system in some fashion, or they get excluded from it, and that causes them to become the centerpiece of some great conflict. 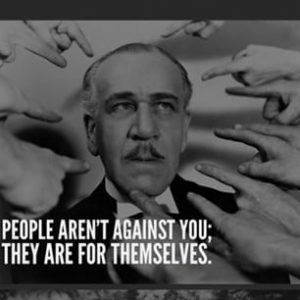 But because these stories rely so heavily on the conceit that this person is unique for their individuality, they end up being someone who has to be eliminated. The powers-that-be end up being threatened by the idea that someone thinks differently, as if it’s the first time it has ever happened, and go out of their way to attack it. In some cases this is handled well, but even in those cases it is a bit of a problem. Thomas’ differences from the rest of the Gladers in The Maze Runner manages to move the plot forward, but it also seems a little peculiar since everyone in the maze has been trying to resolve it for a couple years by the time he arrives. If everyone’s dedicated to this task, why is his inquisitive nature threatening? They once get upset at him for surviving because it broke their ritualistic laws (that they set up over the course of only 2 years). Could it happen? Sure. But if something similar happens in every single story, people are going to notice. Real world cultures do tend to punish people for stepping out of line, this isn’t really the problem of the matter. What is a problem, generally, is when the conflict revolves around an overreaction to that individuality. Often it is treated as if this is somehow the first time anyone has ever thought differently than the rest of the group. And while that can work on the small scale (such as Maze Runner) the odds start to work against you as time goes on. Over the course of generations, someone has to have mirrored the protagonist on some level. So the easiest solution is to remember that everyone is an individual and thus everyone has had the potential to do what your protagonist is doing (and someone has probably tried before). 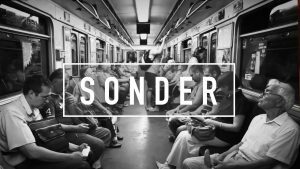 This is called sonder, the awareness that everyone you meet has their own story, and if you can keep it in mind you should avoid making the world full of sheep. In fact, one could even say that the knowledge that others are also individuals makes what your protagonist does even more special. What if that decision they just made is one that has gotten everyone else killed? What if the state has made an example out of everyone to do it before? What if the rest of the characters in the story say they would have done the same but they’re too afraid of what the consequences would have been? At that point, your character stops simply being unique and starts being inspirational. 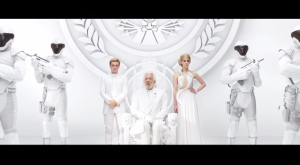 Which, by the way, is one of the reasons why The Hunger Games worked so damn well. This is really where the last point tends to completely tear apart YA works and it’s becoming more common. Faced with the unrealistic nature of their world featuring the lone independent thinker, a lot of YA authors will go out of their way to say that the reason everyone else is stuck as one dimensional caricatures is because they’re literally incapable of being “normal”. Yes everyone else is genetically or psychologically damaged so that normal behavior is just out of the question! 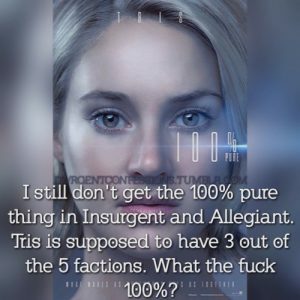 The most famous example of this recently is the Divergent series where our protagonist is eventually revealed to have a multi-faceted personality because she was one of the only people not to have genetic damage. As one line you’ve probably seen on TV repeatedly over the last few months points out, she’s the only one that’s “pure”. 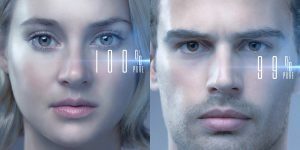 All Divergents, who manage to retain some sort of functional personality, are apparently part of an experiment to restore humanity to functionality after genetic experimentation derailed everything. Though her parents were both of the same type of genetic brain damage, she somehow came out normal. 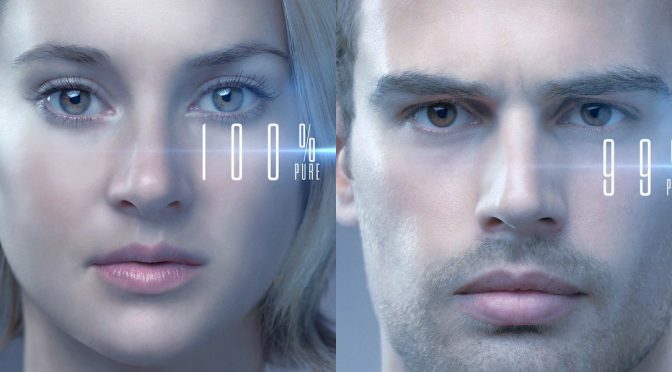 As a result, throughout the world, only Tris still has the ability to be complex. She’s not like other girls. But this trope goes back a lot further than that. The Giver, a novel which was published in 1993, had the basic conceit that people were reduced to mindless sheep on a fundamental level to the point that they couldn’t even see colors. And even back then, 23 years ago as of this writing, reviewers felt it was contrived and lacked originality. So if it was unoriginal a generation ago, what is it now? The trope dies. The fact is, one of the common complaints leveled at YA fiction is that the characters end up feeling flat when taken in large doses. A lot of people would say it’s the fault of poor writing, but I hold that it’s the fault of genre conventions. 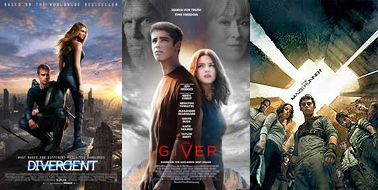 It’s ironic that The Giver was a story about a society which revolved around a concept called “The Sameness” because that is exactly what has happened to the genre over the years. But if the genre is to survive, it needs to let go of some of the concepts it holds onto so dearly. Normal behavior is not a super power, it’s not something that makes a person special. What makes people special is when they fight beyond their normalcy and fight beyond the obstacles in everyone’s way. Everyone feels fear, loathing, and doubt. The fact is, dystopian societies can form around these ideas without stripping their supporting cast of them. And what would make your protagonist special, really special, is having them fight beyond that fear. Which, sadly, is why I can only think of one franchise that managed to achieve mainstream respect outside of the fans of the genre. Simple actions can become profound.